Last week, I blogged about how I was walking back to happiness. I am struck by the irony that on Monday I fell on a slippery slope (Kate on very thin ice) and twisted my ankle badly. We were a mile away from the car so there was no real choice except to hobble back crying, screaming and moaning all the way. It reminded me a little of childbirth as despite being the quiet time in moments of crisis and excitement, I am known for being vocal. I had such plans for this week but they do say God laughs when we make such things and it seems she may have a point. 1. I will get better. Recent news stories remind us to be very grateful for our health and wellbeing. It can be taken away in an instant and in far worse ways that a sprained ankle. 2. My enforced rest has shown just what the children are quite capable of doing for themselves. Valuable lesson learned right there. 3. My husband and children clearly hated seeing me suffering and offered help in various ways. My teenager brought me a chocolate orange to cheer me up. I just had 4 slices and let him have the rest which may well have being his plan from the start but it was still a lovely gesture. 4. I have finally managed to try some outfits on for BritMums Live today. I am not decided yet but am narrowing things down a bit. 5. I got a book on home education. Sometimes I feel I need my hand holding a bit in this adventure of ours. 6. I have eaten really well this week. The weighing scales are jumping around insanely so I am just going to carry on eating for health and taking my measurements until they fix themselves or wake up to the new me. 7. I have had my spotty nurse to give me amazing cuddles. 8. I am going camping this weekend. 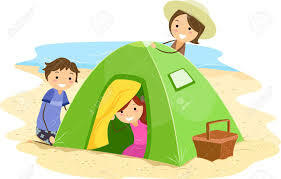 I must be mad in my current state but I want the family to have some fun so I cam camping our way back to happiness. Let’s see how that turns out. I have a rather *carry on* image of you, camping!! Glad your able ifs on the mend, and that they all looked after you (bloody well done on the choc orange, I’d have scoffed the lot).